It’s starting to get hot outside. Lots of cities in the United States keep experiencing record-breaking temperatures summer after summer. In fact, the summer of 2015 set a new record as the hottest summer the planet Earth has ever experienced. If you’ve been uncomfortably making do without an air conditioner, it might be time to reconsider. Central air is expensive to install and may not be practical if you live in an area where the hot days aren’t too frequent, but that doesn’t mean you have to go without. Window air conditioners are a much simpler and more affordable investment that can save the (90-plus degree) day. 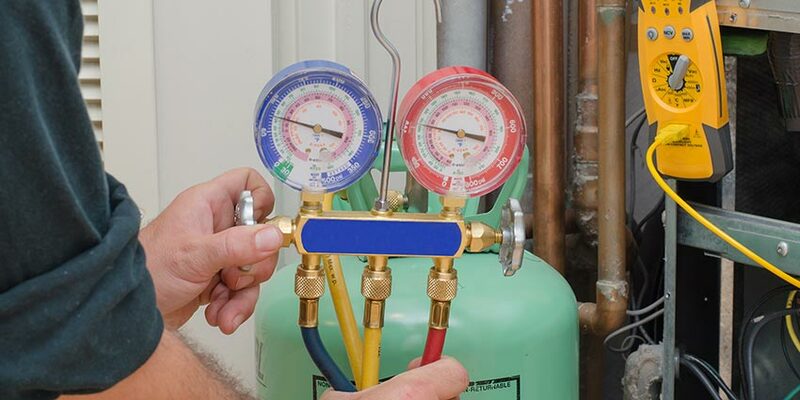 Having central air installed in your home is a huge commitment in cost — both in terms of the cost of the system itself and the involved installation process. Window air conditioners, in comparison, can cost as little as a couple hundred dollars and be installed without the help of a professional. Cool one room at a time — People with central air that don’t want to pay to keep a whole house cool can save energy by installing a window air conditioner. Not permanent — If you’re a renter and want to be able to take the unit with you when you move, you have that option with window air conditioners. Don’t require ductwork — AC ducts are not only complicated to install, but they sometimes have leaks that cause waste, and they can get dirty and contribute to allergy problems. For anyone living in an area where the air conditioner is only really needed a few days a year, or who’s tired of paying to keep a whole house cool when they only use one or two rooms at a time, a window air conditioner is an easy solution. When you do decide that a window air conditioner is the right choice for you, the next step is obviously figuring out which one. There’s quite a bit of variety in the options available. Here are all the main factors to keep in mind in your search. Window air conditioners can vary in price from around $100 to over $2,000. Obviously that’s a pretty huge difference. The more affordable options tend to be pretty basic in what they offer and only cool smaller spaces, while the units on the upper end of that price range can cool much larger rooms and often come with a number of other features and functions. In addition to the upfront cost of the unit, you should also consider what using it will cost you in energy bills over time. Air conditioners use a lot of energy. Over half of the energy used in most homes is for heating and cooling. Spending more upfront for an Energy Star rated model may end up saving you a good amount of money over years of use. 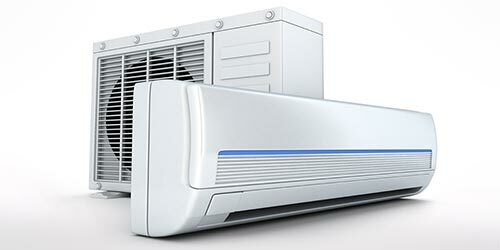 Power is another crucial consideration for finding the right window air conditioner. If you buy one that isn’t powerful enough to keep the space you’re using properly cool, then your money and effort will be wasted. Different factors can change how well that list bears out. If you live in an area that regularly reaches temperatures over 100 degrees, then you’re better off going for a higher BTU count for the space in question. In general though, this list should give you a good idea of what to expect. Window air conditioners typically need to be installed in a window — it’s right there in the name. Before purchasing an air conditioner, you should have a specific window in mind. Some people do choose to install their window air conditioners through the wall instead of a window, but this is a far more difficult process and you have to make sure you buy a model that offers a through-the-wall installation process. If you do stick with installing it in a window, then measure the size of the window in question carefully. Window air conditioners will provide minimum and maximum window sizes in their product specs so you need to be sure you purchase a model that will fit the window you have in mind. You’ll also need to make sure the window you choose for your air conditioner is close enough to a power outlet that your air conditioner can be plugged into. Some more powerful models will require a higher-voltage outlet than those that are typical in most homes, so you may need to call in an electrician before you start using it. If possible, it’s ideal to choose a window that’s in shade as well, so your air conditioner can work effectively while using less energy. People buy window air conditioners specifically to go into the rooms they spend time in — whether that means a bedroom, living room, or office. In any case, there’s a good chance you’re going to want one that doesn’t make a lot of noise. 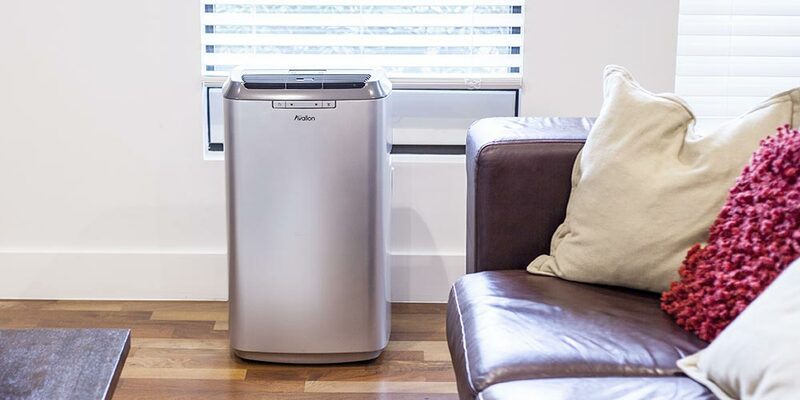 An air conditioner that makes it hard to sleep or get work done due to the ruckus it makes may not feel like a significant improvement over the distracting discomfort of the heat. Window air conditioners do not, in general, have a great reputation for being quiet. They tend to be louder than some of your other air conditioning options. Some models have a better reputation for being quiet than others though, so if that’s an important feature for you, checking the reviews can go a long way toward telling you what to expect. Air conditioners use a lot of energy. This is true no matter what type of air conditioning you invest in. Window air conditioners are not your most efficient option, but since they’re designed to cool a specific space rather than the full house, they can end up using quite a bit less energy than central air. 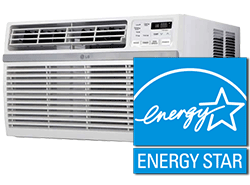 You can find Energy Star certified window air conditioners that are proven to use less energy than other models, and you can even see how specific products compare on their website. Many models will also provide their Energy Efficiency Ratio (EER) to give you an idea of what to expect. The higher the EER, the more energy saved. There are a few extra features that can help you save on energy as well. A programmable timer that makes it easy for you to set the AC to come on at times you’ll be home and go off at times you won’t can help save energy. A unit that automatically maintains the temperature you set it at instead of continuing to cool when the room’s already cold will save on energy use as well. As previously mentioned, installing your window air conditioner in a window that faces shade will also help you reduce energy use. And many models will offer an energy saver setting that also makes it easier to use the air conditioner in the most efficient way possible. 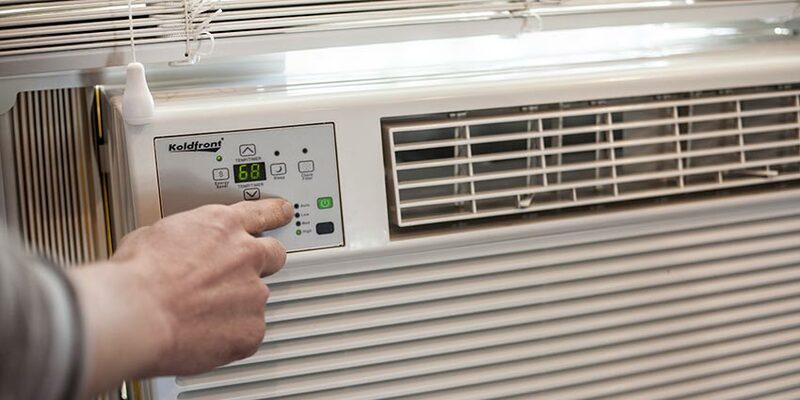 Most window air conditioners shouldn’t be to difficult to figure out, but you might look into what the controls of a model are like before purchasing if you’re worried they’ll be confusing. One of the main issues to consider in terms of ease of use is how difficult a window air conditioner will be to clean. Check on how often the manufacturer says you should clean the filter and the AC unit as a whole and how complicated the cleaning process is. Window air conditioners with a slide-out chassis will be easier to clean, as the slide out function makes the AC more accessible. Window air conditioners are enough of an investment that you want your purchase to last for a while. Air conditioners made by brands with a solid reputation and strong reviews for durability will be the most reliable. Many window air conditioners come with a warranty, so you can count on one or two years without trouble, or at least the peace of mind that the manufacturer will help out with any fixes needed. Finally, you need to make sure you have the appropriate outlet for the unit you buy. You may need to call in an electrician to get you set up for your window air conditioner if you choose to go with a more powerful model. A lot of window air conditioners also come with a heating function. In some cases, it’s only good for supplemental heating if you have another source. In others, it can serve as your heater for the room in the winter just as effectively as your unit serves as your cooling source in the summer. For those who suffer from allergies, an air conditioner that also includes a dehumidifier can help remove excess water from the air and minimize your symptoms. If you like coming home to a cool home at the end of the day, but don’t want your AC to run all day long, a programmable timer allows you to set the unit to reach your ideal temperature automatically at the times you want. A sleep setting will gradually reduce the use of the air conditioner through the course of the night, so that you’re comfortable as you’re falling asleep, but don’t pay for more cooling than is necessary while you’re sleeping. 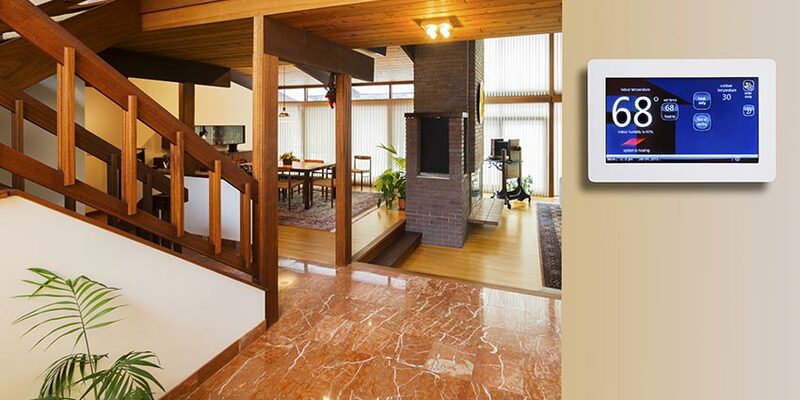 A remote control adds the convenience of letting you change the temperature from a distance. For window air conditioners installed in the bedroom, it can be an especially nice feature. A filter alert makes it much easier for you to stay on top of when your filter needs to be cleaned. 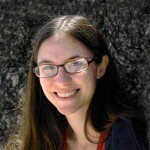 One of the final considerations to make in your search for a window air conditioner is brand reputation. If you can identify which brands have been making window air conditioners for a while that customers like, that’s usually a good bet for ending up with a product you can count on. To give you an idea of what to expect from the different brands making window air conditioners, we looked at the reviews of units made by many of the most popular brands on the market to give you a summary of what customers are saying. Customers give Danby’s window air conditioners points in all the main categories people are looking for in an AC: they’re easy to install, quiet, don’t use much energy, are available at a good price, and cool the room effectively. Most of the reviews we found for their models managed solid four and five star ratings from the vast majority of customers. It’s clear that Danby’s a reliable brand to go with when you’re looking for a new window air conditioner. 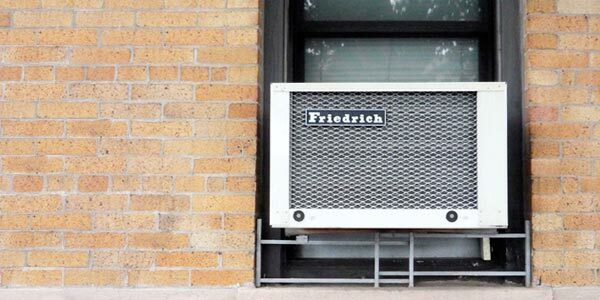 The reviews for Friedrich’s window air conditioners reveal a brand with an exceptional reputation for selling ACs that work well and last a long time. Reviewers say their window units are well worth the cost and cool the space quickly and effectively. One reviewer said they chose Friedrich because a service contractor mentioned their reputation for lasting 30-40 years, and another praised them for offering the strongest warranty available. The main complaint that cropped up in a few reviews came from customers who found the units noisy. Oddly enough, other customers reviewing the same units would often comment on how quiet they are. Whether or not you have an issue with the noise will probably have to do with your expectations going in. Other than those few noise complaints, their reviews are solidly positive. They’re a safe brand to go with for window air conditioners. Frigidaire is yet another brand that receives strong reviews for its window air conditioners. Customers say their units are powerful enough to get the job done and provide a good value for the price. Some comment on how quiet they are, while others mention them being loud, so this is another case where expectations really come into play for whether or not you’ll be bothered by the noise. On the whole though, people are happy with their Frigidaire window air conditioners. GE makes window air conditioners that get predominantly positive reviews for being quiet, powerful, and easy to install. While the vast majority of reviewers give their units four and five-star ratings with enthusiastic recommendations, we did see a few reviews here and there from customers who received lemons that had problems soon after purchase. The negative reviews are enough in the minority that most customers can purchase a GE window air conditioner with confidence though. Impecca’s window air conditioners earn mixed reviews, but far more positive than negative ones. Many customers feel their units are a great value for the cost, easy to install, and cool the space effectively. A few customers don’t feel their units effectively cool the space and complain they’re loud, but other reviewers of the same units say the opposite. In general, most customers that go with Impecca are happy. 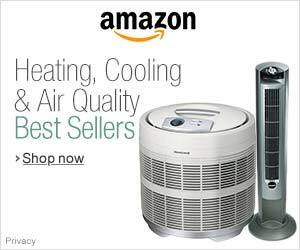 Koldfront sells window air conditioners that earn solid reviews. They’re praised for having competitive prices, being easy to install and use, and offering good warranties. Many customers mentioned appreciating the convenience of the remote control and liking how quiet the units are. LG’s window air conditioners receive largely positive reviews from customers who talk about how powerful they are – they can cool a large space quickly and effectively, even on especially hot days – and how easy to install they are. As with some of the other brands, some reviews complain about the units being loud, while others comment on how quiet the same units are. A few reviewers didn’t feel the units lasted long enough for the price, but the customers that have issues are in the minority. On the whole, LG’s window air conditioners have a solid reputation. Don’t let the summer get you down. Even if central air seems far out of your reach, a window air conditioner can be an affordable, simple addition to your home. Find the right model for your needs, and stop sweating unnecessarily. It’s time to be comfortable in your own home again. WHERE DO I EASILY CHECK ON RATINGS OF QUIETNESS.I AM 77 AND HAVE DIFFICULYT SEARING AROUND?HIOEFULLY YOU CAN HELP ME OUT. I bought two identical 6000 BTU airwindow air conditioners at the same time at the same store. One of the air conditioners blows harder and gives out more air than the other however both work efficiently what is the problem. Moved to LG AC’s with heat strips, did the job well and seemed a solid quality product and fairly easy to install, one is in a 26×24 foam insulated steel building garage with non-insulated roll-up doors which was a mistake and I am looking to upsize the unit to make up for the hotter summers here in Florida.. This is from a critical Major Appliance Factory Service field technician of 30 plus years here in Florida…4Stars for this product!